"Scream queen" Season 2 premiere date. New release date on DateReliz.com: trailers, spoilers, cast. “Scream queen” (Season 2, release date – September 20, 2016) conquered audience attention and has become very popular around the world. 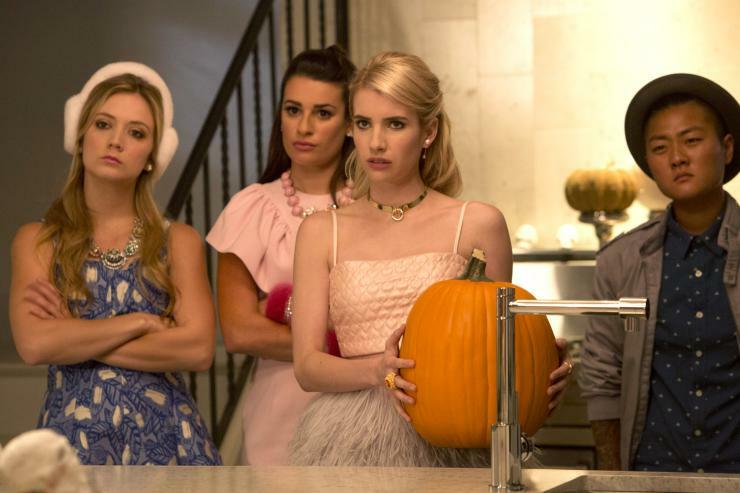 Writers of the next part of “Scream Queen” became known, they are Brad Falchuk, Ian Brennan and Ryan Murphy. About the extension of the show for a 2nd part, the producers made an annunciation at a meeting of the TCA in January 2016. Place of action “Scream queen” of the project moved to the territory of hospital. Killer`s name will be known to viewers as always at the 2nd part ending. The film acts as a kind of horror with mixture of comedy; it's a modern trend in cinema. Storyline reveals the secrets hidden in the campuses. Twenty years ago, in the college of New Orleans, the tragedy occurred, the consequences of which affect today to modern students. College Tulleyn is popular for its clubs. On the arrival of the new curator of the institution the rules have changed totally. All club areas were excluded from the training program. The oldest of the clubs' Kappa Kappa-Tau ", just created at the time of the tragedy in the past, is the most hated by this woman. But it was not long as it is under a certain pressure the club was opened again under certain conditions: this place should be open to all students. New member enters in a privileged club. It was her mother died many years ago in the bloody history related to the institution. After her arrival strangeness begins to make. Every seven days, there is the mysterious murder of one of the students. The main heroines, two remarkable beauties decide to take over the investigation of what is happening, the series of first season kept fans in suspense during all the time, from the words of the creators of the new part promises to be even more interesting and exciting. About the creation of the series "Scream queen" it was mentioned in 2014. 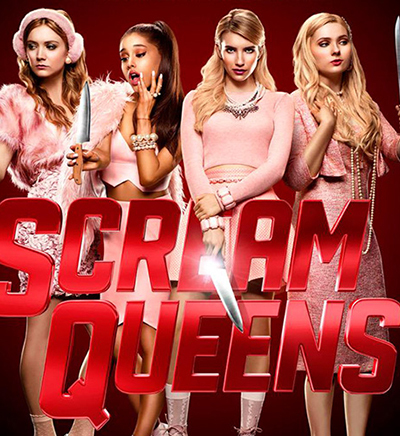 Ryan Murphy refused to run the project "Scream Queen" without the consent of the role of Jamie Lee Curtis, because he conceived this show for her. The actress has agreed to appear without reading the script. Also quickly it was adopted the role of Emma Roberts, who worked with screenwriter Ryan Murphy on some projects before. John Stamos, Taylor Lautner and Colton Haynes take part in the 2nd part. After raising of filming taxes the 2nd part moved to Los Angeles in July 2016.